This utility copies group(s) from one QVW to another. Source and Target QVWs are allowed to be the same file. 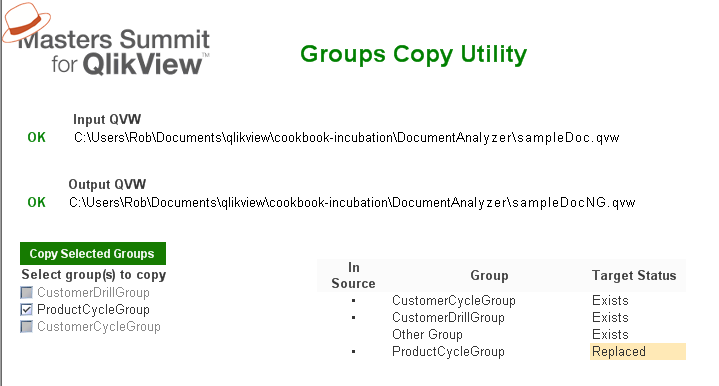 In this case, copied groups will have “- Copy” appended to the group name. 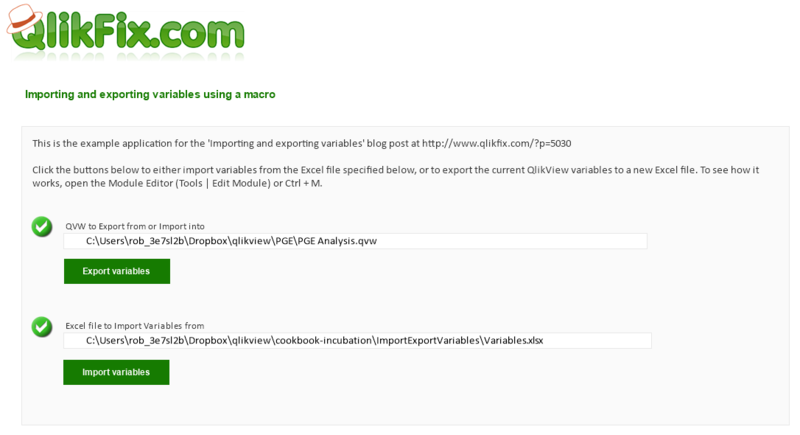 This is a QVW utility to Import or Export variables from a QlikView Document. Create -prj directories from a set of QVWs. 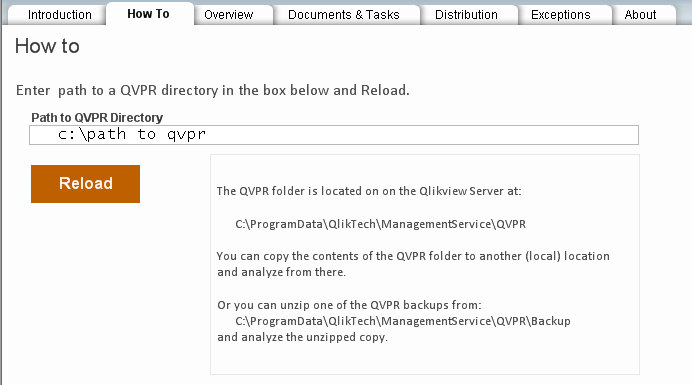 Build or Re-Build QVWs from -prj directories. This is useful for making mass changes to a set of QVWs. – Added check for proper macro security. 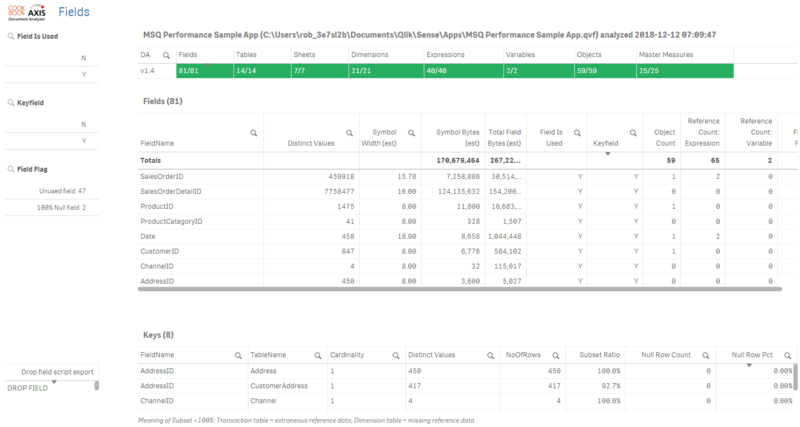 This is the Qlik Sense version of the popular “Document Analyzer” tool that provides insights into your application. 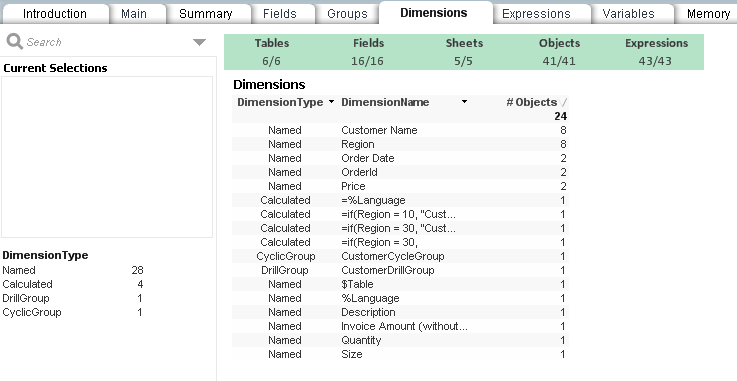 Discover where fields, variables and master items are used, and importantly, what fields are unused. What visualizations take the longest to calculate? Installer allows editing of all install paths. Summary ribbon at top of sheet provides sheet navigation by clicking a cell. Improved error handling in the connector. 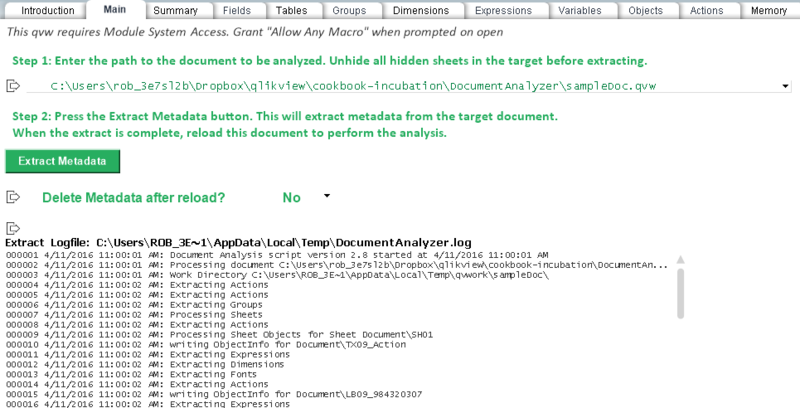 New KPI “Analysis Errors” on the Summary sheet. Fix issue #4 Connection error when using self-signed certificates. Master Visualizations, and the Dimensions and Expressions therein, are now extracted and processed. 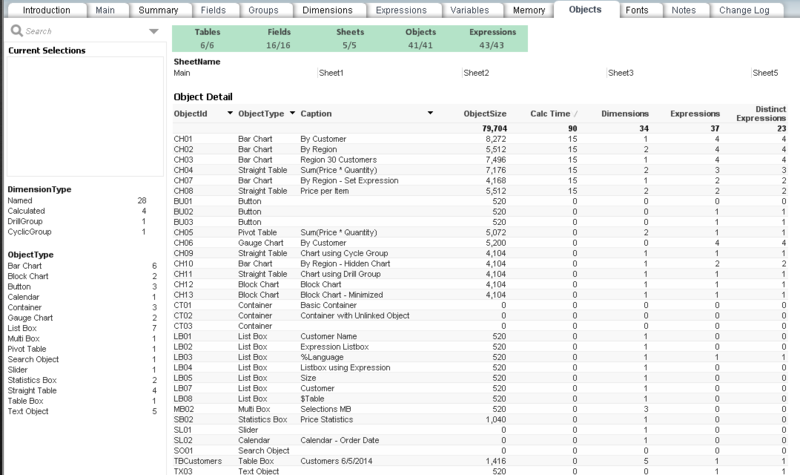 Add “Expression Table Count” for Variables. Now validating expressions. Added two new attributes, “ExpressionCheckResult” and “MasterMeasureCheckResult”. 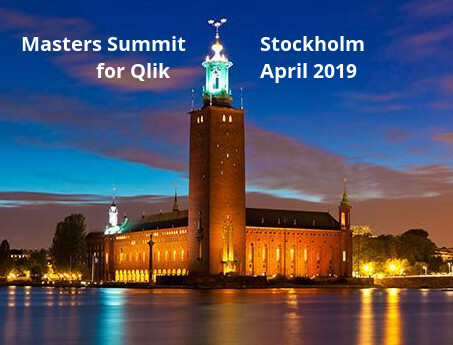 Support for analyzing applications on Qlik Sense Enterprise. Only NTLM (Windows) auth is currently supported. Collecting expressions used in Title / Subtitle / Footnote. Possible to specify a Bookmark Name that should be applied before Objects are calculated. 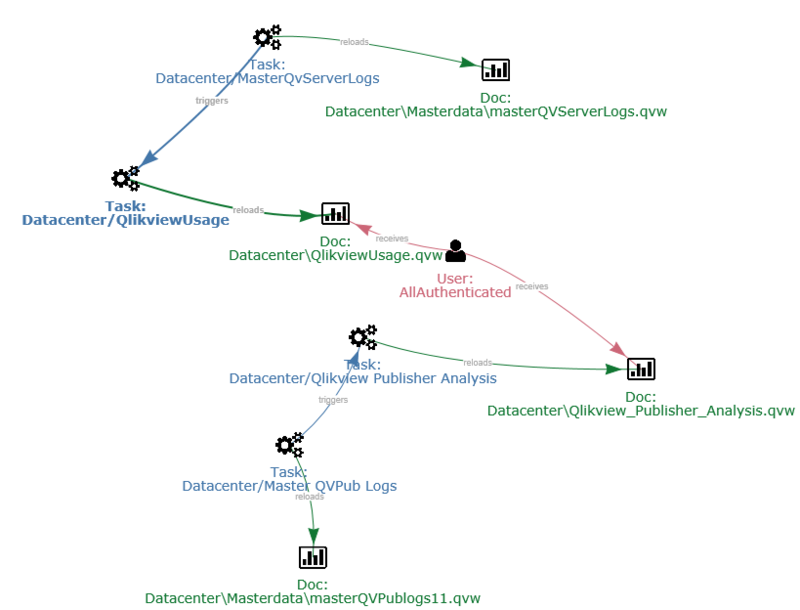 QVPR Analysis is a tool that will load a Qlikview XML Repository (QVPR) and allow you to analyze the contents. 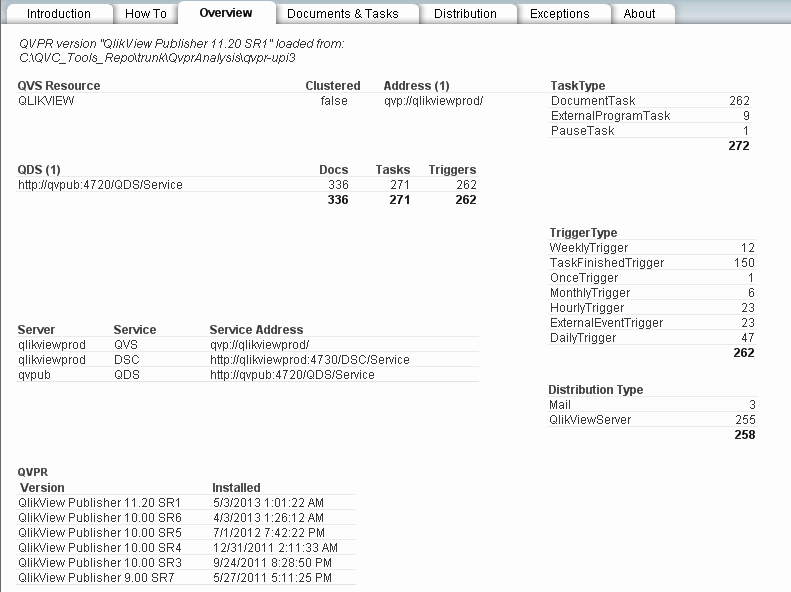 With this app you can do Qlikview Analysis of the Reload and Distribution tasks defined on your server. V2.1 adds QVD Creation Tasks. V2 Update adds Icon Graph visualization of task flow by Ralf Becher. 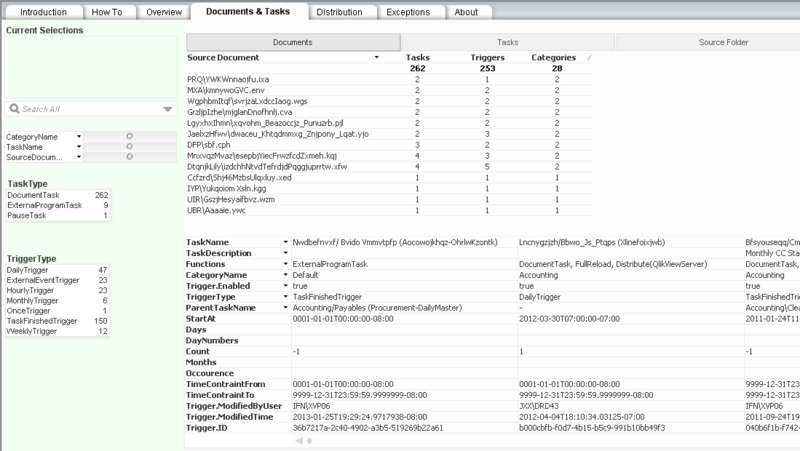 This is a QVW used to edit external Qlikview script files — *.qvs & *.txt files — using the qlikview script editor. It’s useful in that it uses the actual script editor so you get all the features you expect – syntax, tabs, dropdowns, etc. 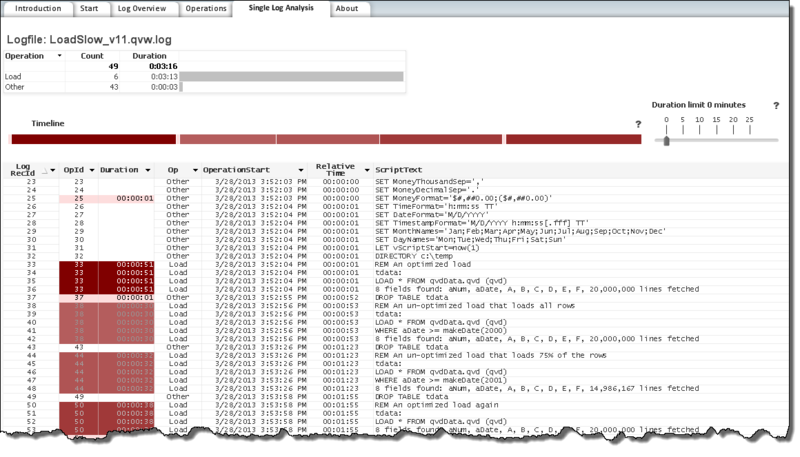 Script Log Analyzer will analyze a set of Qlikview and Qlik Sense script logs. It’s value is in visualizing the execution duration of each script statement in a reload. Interface is available in English, Portuguese, German and Spanish. The v1.7 update fixes an issue where the last operation in a failed script was not accounted for. 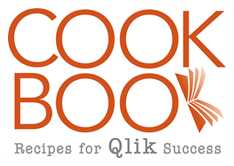 This tool builds a searchable repository of QlikView scripts. Ver 1.9 Update: Added optional “Search Words” file to search for a list of words during reload. Ver 1.8 Update: Added a “Version 12 Upgrade Check” sheet to highlight potential QV12 script compatibility issues. 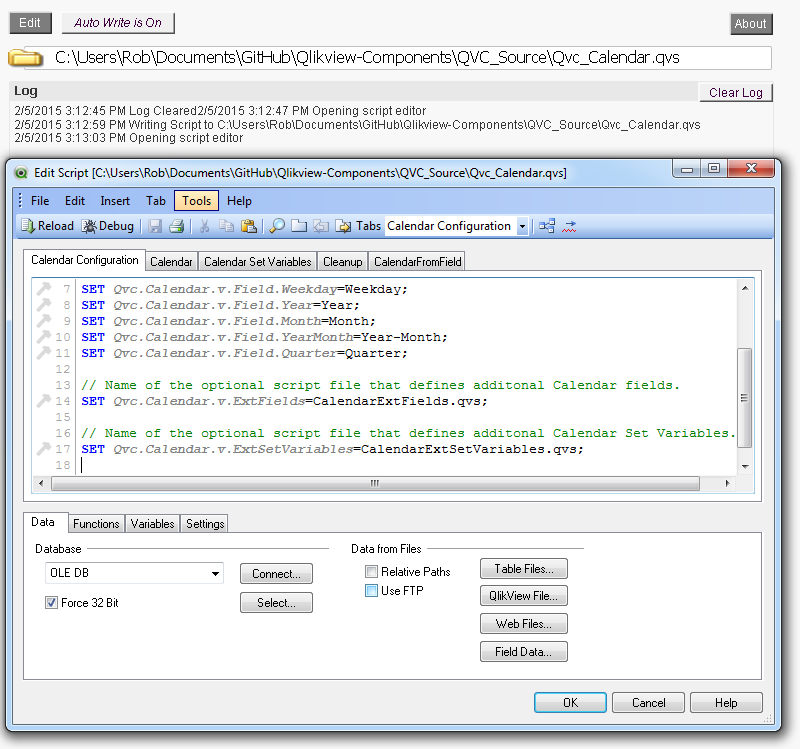 Each QVW file in the Input directory tree is opened and the script and module texts are extracted and written to the output directory. The QVWs are opened with /nodata, so the process runs quickly. You must respond to any macro or section access login prompts. 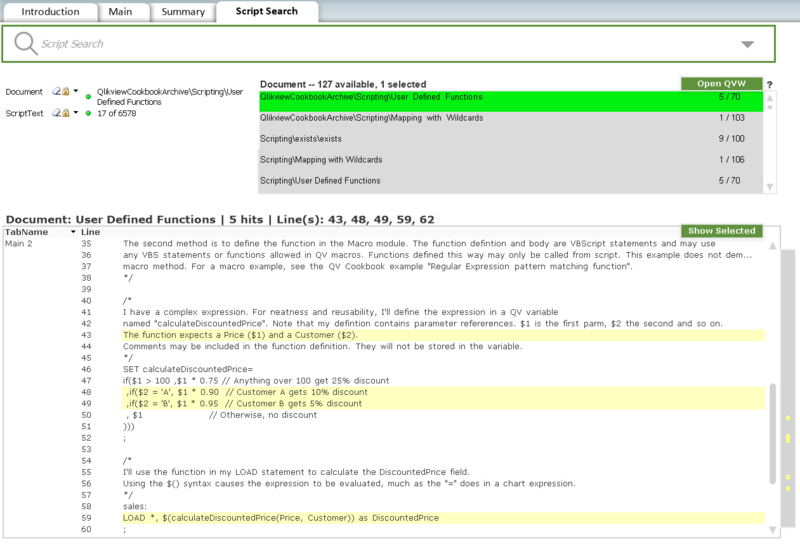 After Reload, the extracted script can be searched using the “Script Search” sheet. You must grant System Access to this QVW. Follow the instructions on the “Main” sheet to get started. A small utility to extract tables from a QVW into QVD or CSV files.